Understanding the basics of Chi is fundamental to mastering it. But one can only go so far on theory alone – there comes a time when what has been learned must be put into practice. Dark Chi is not always willingly accepted. More often than not it is forced upon a person, infecting them like a virulent poison that eats away at their body and mind. One who has strong chi within them can resist the effects, though the Dark Chi will flare up like crawling, thorn-covered vines that choke their spirit. Those afflicted carry the Mark of the Black Rose – a tell-tale distortion within their spiritual energy. It is a crippling wound and, even worse, makes the victim susceptible to influence by Dark Chi. 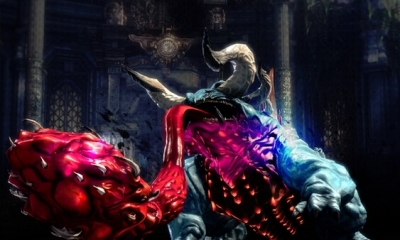 Demons and Dark Chi users are even able to enforce their will over the victim, dominating their minds. They may even partially transform into Demons as their bodies warp into horrifying states. In the end, those who bear the Mark of the Black Rose die both a physical and spiritual death as they wither and transform fully into a Demon. Suffering the Mark of the Black Rose is not always an inevitable death sentence. It is possible to overcome by learning the Way of Enlightenment – a complex method of purifying the soul. But this art has been lost to the ages and is known only by the greatest of sages. Those who hope to utilize it face both a race against time along with the even greater struggle of actually managing to successfully purge the Dark Chi from their bodies. To date, no mortal being has succeeded. Martial artists use their chi to facilitate their various combative skills. Everyone only has a limited volume of chi within them at a given time – a warrior who overextends themselves finds their reserves of Focus depleted. Replenishing Focus is thankfully a simple task. Food or rest will restore Focus, though there are warriors who recover through the thrill of combat, regaining Focus as they fight. Blade Masters, Force Masters, and Summoners externalize their chi to enforce change on the world. Spiritual Lyn and Yun tap into the environment, manipulating the elements or conjuring Familiars from the Spirit Realm. A Blade Master’s sword is infused with energy to cleave through anything – it is so effective a weapon that even the curious Lyn have begun tinkering with blades. In contrast, the Destroyer, Kung Fu Master, and Assassin all internalize their chi to great effect. Their Focus is used to harden a body into an unyielding bulwark, physically overwhelm even giant-sized monsters, or vanish into thin air, respectively. Chi is not limited only to warriors. Both the mighty and the meek are able to Windwalk, striding over the flowing rivers of chi that spring from the earth to travel great distances. It takes a master to fully utilize Dragon Pulses, but anyone can make use of them where they naturally appear, using the wormholes through space to instantly transport themselves across the map. Others use chi to revitalize the weak and injured. The possibilities seem truly endless and, so long as there are warriors, there will be new ways to use chi. Understanding the basics of Chi is fundamental to mastering it. But one can only go so far on theory alone – there comes a time when what has been learned must be put into practice. While chi exists in everything and everyone, it takes work to access its full potential. Martial artists spend their entire lives dedicating themselves to meditation and physical training to master themselves and thus their chi. As this is a slow, difficult process that requires an unshakable will, it is no surprise that many do not make it to mastery. Some warriors are content to learn a few petty tricks while others give up altogether. Yet some yearn for power despite not having the spiritual fortitude to earn it. They hear the whispered promises of the Dark Realm and succumb to temptation, allowing Dark Chi to seep into their souls. While it is true that Dark Chi can drastically boost a martial artist’s power immediately to astonishing levels, it comes at dire cost. Those unfortunate fools are blinded by their desire for undeserved power and, in the end, it destroys them without fail. 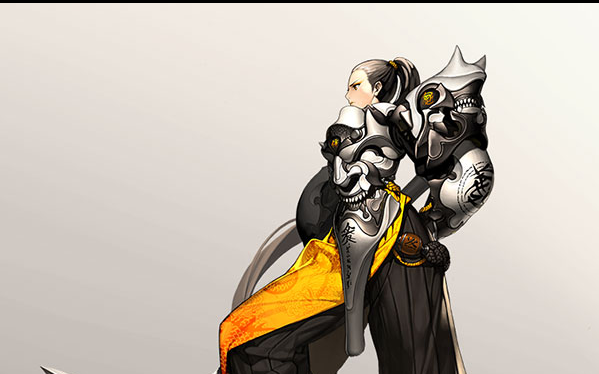 Is there some kind of SIMPLE blade and soul guide for all this stuff? What you really need are the dumplings, hp potions, charms, repair tools, keys and maybe the upgrade stones (for later when weapons need a lot more, they still give the same %) and that's about it. For everything else you should decide whether you want to sell it or keep it. This is why taking your time in a game like this or any other MMO is really the best choice. I and some friends, are looking for players willing to trade 1,000 faction kills for the Double Agent title. We are part of a Cerulean guild, but will be starting the game as Crimson so that we can avoid the waiting period if we started as Cerulean, switched to Crimson, and then tried to switch back to Cerulean. The levelling process was fine and all that, but once you're done with that you en dup having to do the things I mentioned above and they're much worse than they were at 45. 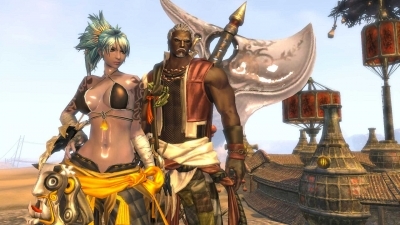 This mini-series of articles introduces you to some of the team working on the Western release of Blade & Soul. In this article we meet with the Game Support Manager and Senior Brand Manager.